We wish we could have even a fraction of Emerson’s attitude! Despite a gimpy hind leg, this adorable 5-year-old Maltese mix loves life! The lame leg could be a result of an injury, and it needs to be either reset or amputated. Our shelter vet said that she’d reset his leg if someone would step up to foster him for a while or, better yet, adopt him. Wouldn’t you love an outcome like that! Meet Emerson on the shelter side of the Companion Animal Village at 7700 East Spring St., (562) 570-PETS. 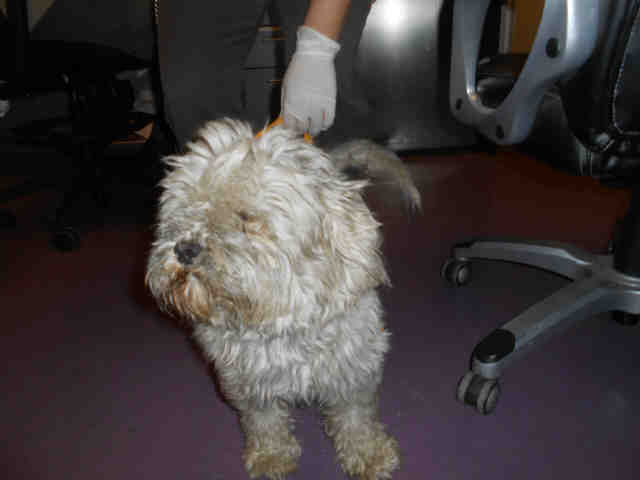 Ask for ID#A607649.